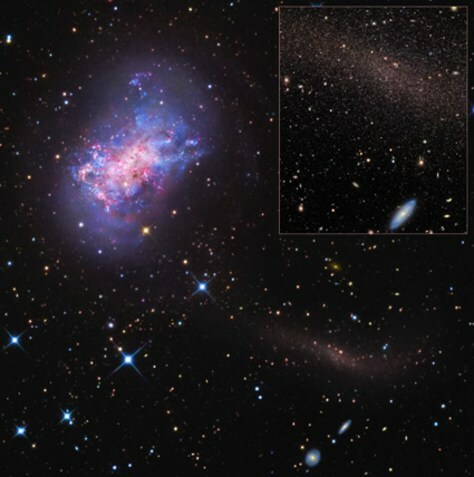 The dwarf galaxy NGC 4449 is the first dwarf galaxy with an identified stellar stream (faintly seen at the lower right, and in inset). The star stream represents the remains of a smaller satellite galaxy merging with NGC 4449. The inset image shows the stream resolved into red giant stars.